It's getting that time a year again! to start watching the what i call Happy Halloween movies. Halloween themed movies, but scary and gory is not my style, so i like Happy Halloween movies! 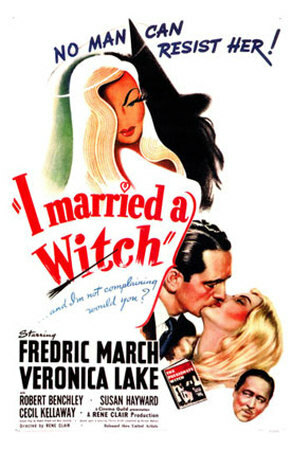 One of my favorites is I Married a Witch! from 1942, with Fredric March and Veronica Lake. Unfortunately it's not available on DVD in the United States, but you can still buy VHS copies on Amazon for around 6.00 and up.